Sean Miller's rebuilding project in Arizona is finally done. Last year, the Wildcats started off 14-0 before a loss to Oregon. Sure, things didn't finish the way they wanted, as they lost in the Sweet 16 but Arizona is once more expected to contend for a national title. They lose three important players, Solomon Hill, Kevin Parrom and Grant Jerrett but an excellent recruiting class and key returners could carry 'Zona to another Pac-12 title. 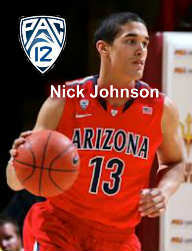 Backcourt: Junior Nick Johnson developed quite nicely last year, after a crazy freshman year. Johnson has good ball-handling and court vision and is definitely a playmaker. He also uses his great size to get to the rim. His shot is still inconsistent and he struggles late in games but his expected maturity should help him out. The addition of Duquesne transfer T.J. McConnell is huge. Mark Lyons who transferred from Xavier, spent time at point guard last year but was uncomfortable with the position. McConnell gives 'Zona a true point guard who can run the offense. McConnell is small but has the shooting ability to score on the offensive end but is a better defender than Lyons. Sophomore Gabe York is expected to play a bigger role after seeing just 5.8 minutes per game last year. York is a solid shooter who can play either guard slots. He is a solid, productive guard and will battle for minutes. Four-star commit Elliot Pitts should help the Wildcats in a number of ways this year. 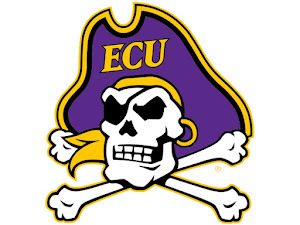 Pitts has great size for a shooting guard at 6-5 and can score in many different ways. He is a great jump-shooter but also uses his size to get to the rim and finish. Sophomore Jacob Hazzard saw just 11 minutes last year but will give Miller and 'Zona much needed depth. Senior Jordin Mayes, a LA product, gives Arizona experience and smarts and a quality defender. Frontcourt: Aaron Gordon showed just how talented he is with his performance in the McDonald's All-American game. 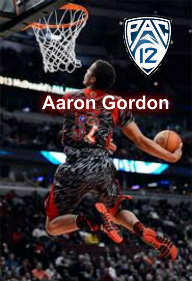 Even with guys like Andrew Wiggins and Jabari Parker playing on the court, Gordon dominated with his athletic dunks and superb athleticism. Gordon is extremely competitive and plays big and can play both forwards spots. 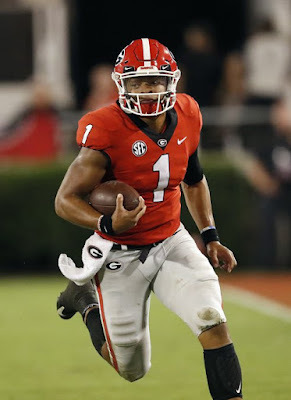 He can make highlight-reel plays every time he touches the ball but also has the talent to score in a number of ways. He uses his size down low, but can step outside and finish plays on the perimeter. He will form a dangerous 1-2 punch in the frontcourt with the return of sophomore Kaleb Tarczewski, a five-star recruit in 2012. Tarczewski is a psychical presence down low and has shown the ability to stretch the floor at times. He has proven he has a developing back-to-basket game and has the potential to be a fantastic big man. His long wingspan allows him to block shots and play strong defense. The loss of Grant Jerrett and Hill leaves a gap in the frontcourt, one that could be filled by sophomore Brandon Ashley. Ashley, a Findlay Prep product, has good size and an evolving low post game. He still has to improve his touch by the rim and gets pushed off the block too easily but should show improvement this year. The addition of forward Rondae Hollis-Jefferson should give the Wildcats depth and another athletic forward with a ton of potential. The long lefty can score in a number of ways; he has the size to get to the rim and make great plays and also has a good jump shot. Forward Eric Conklin is only a one-star prospect and may be heading towards a redshirt but brings hustle and rebounding. Arizona loses a lot of leadership from last year's squad but still has the talent to dominate the Pac-12. Though, don't underestimate the Pac-12 this year; UCLA, Colorado and Stanford should all be tough this season. If Aaron Gordon plays to his potential and the Wildcats find a true, effective point guard a Final Four should be on the horizon.